If you have not already heard, 2014 is going to be quite the busy year for the GAA community in Boston. 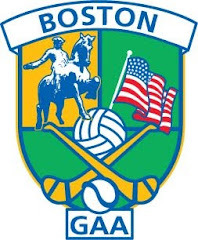 Aside from the usual challenge of organizing 3 cups and 9 championships amongst 43 teams from April to the last weekend in August, this year will be the first time since 2009 that Boston hosts the North American Finals, a year when Boston clubs captured both Men's senior championships. 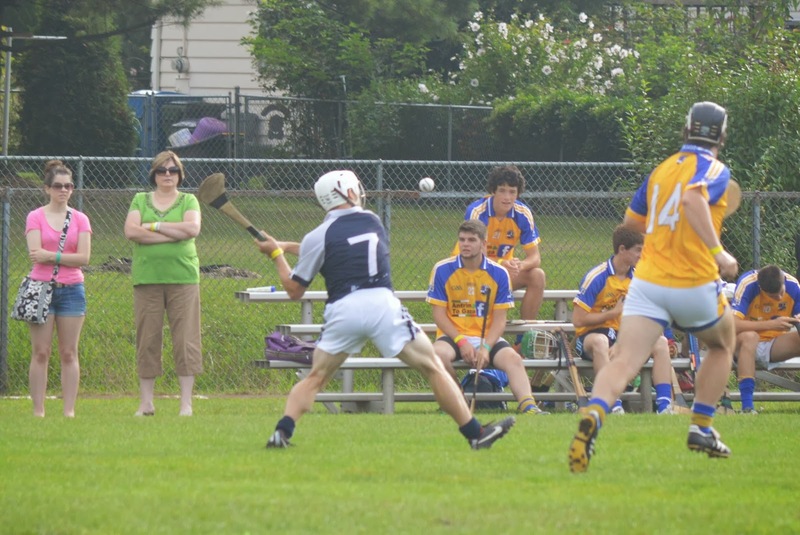 The Irish Cultural Center in Canton Massachusetts will be the epicenter of all things GAA in North America on Labor Day weekend. Teams from across the USA, Canada, and beyond - a gaelic football team from the Cayman Islands traveled to Cleveland last year - will travel by plane, train, or automobile to compete for county championships in Men's and Women's gaelic football, hurling, and camogie in grades from Junior D to Senior level. Preparations have already begun, with the main field getting a resurfacing job at the end of last year, plans for a new electronic scoreboard, and the work of sorting out the logistics for the NACB finals. The 2014 board was elected in February, and a committee is in place to make sure things run smoothly for the county finals in September. No doubt, all the local clubs will be called upon to help make the finals weekend one to remember. Not only that, but on the last weekend of November (Thanksgiving weekend) the Football All-Stars will play at the ICC. The cream of intercounty footballers will play the All-Ireland champions in a display of the finest football talent the world has to offer. 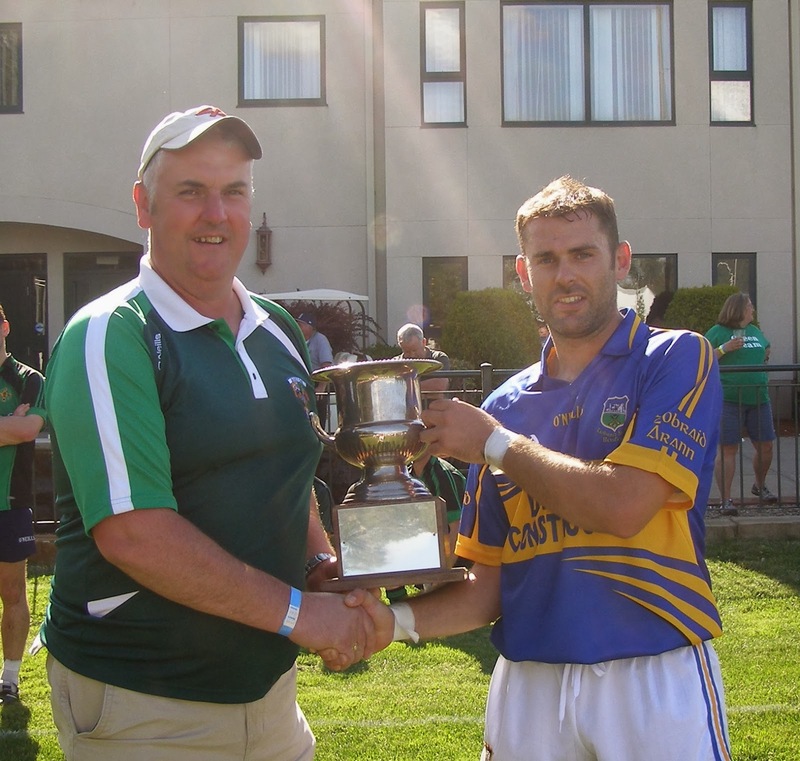 This will make 2014 the biggest year for the GAA in Boston since the Interprovincial football final between Leinster and Connacht, and the Ulster Hurling final between Antrim and New York were hosted on the same weekend in 2006.
presented with the Kieran Sheehan Cup by chairman John Farrell. The Boston GAA season begins in April with the Pat O'Brien Cup in football, and championship fare starts in May. If the last few seasons are anything to go by, there is plenty of drama and excitement in store once the winter chill gives way and the warmth of late spring and summer gets the competitive juices in full flow. The Shannon Blues, the 2012 Boston senior football champions, have already captured a trophy this year, and brought it stateside from Ireland no less. The club traveled to Dingle for the Paudi O'Shea tournament and won the Intermediate section, with Boston born Pat Murray captaining the team. Indoor soccer will making way for the outdoor training once the snow cover recedes, and clubs are getting squads of players together to mount their 2014 challenge for honors. It's only a matter of weeks before the gates open for the season, and what a season it promises to be. The 2014 Boston Northeast Divisional Board, with club and county or town is listed below.